I’m Cathy Wright, a proud mother of two who tries to give only the very best things to my children. While that can be a constant struggle, I know that giving my children the healthiest products available will benefit them in the long run. 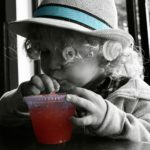 I am also a writer by trade, and wanted to send Brew Your Bucha a short piece about my experience with kombucha and leaning how to brew. The first time I heard about kombucha was from my friend, Jane. Now, Jane is an absolute health nut and she loves going to yoga and visiting health food stores in order to find the best stuff to put into her body. She was the first person I knew who underwent a kombucha cleanse, and I became curious of the drink quickly after I saw it. 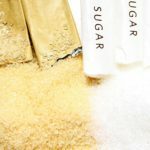 At first, I was horrified to see small chunks of something floating in her drink, but Jane reassured me that it was just bits of the microscopic organisms that helped create the drink and give it is health benefits. Soon, I began to explore the world of kombucha. When researching, I found that the main benefit of kombucha comes from the probiotics in the drink. Now, I had heard about probiotics in things like yogurt and learned about its many benefits. In the process, I learned that our own bodies have a system of microorganisms in our digestive tract that ensure proper digestion and good health. Moreover, adding more probiotics through yogurt and kombucha was a good way to maintain a healthy gut, which led to other benefits. As a mother of two, I was interested in how these probiotics could help make my children feel healthier in their daily lives. Fast forward a year later and I became an absolute kombucha addict. After visiting my local heath store, I saw the large variety of options available for kombucha. I decided to start with the GT’S Syngergy series simply because I liked what I saw in the bottles. The Cherry Chia flavour first caught my eye because of the many little chia seeds that floated in the drink. While I did enjoy a bit of extra pop with my kombucha, I moved onto other flavours like Gingerberry and Strawberry Serenity. My kids also loved fizzy taste of kombucha and it soon became a healthier alternative to drinking sodas. That was already a win in my book. However, I remember checking my monthly spending and saw how my grocery bill began to slowly increase. Then, I realized that my family’s new interest in kombucha was being felt by my wallet. In just buying a $4.50 bottle of kombucha three times a week, I was spending over $700 a year in kombucha. Unlike sodas and juices, which are significantly cheaper and come in larger quantities, kombucha was a much pricier drink. Now, I’m fortunate to be living in a situation where I could take on this added expense, but I still wanted to find ways to combat the high prices of kombucha. After doing a little bit more research, I found my solution: homebrew. Then, I scoured the internet (aka Amazon) and found many of the pieces I needed to start brewing kombucha at home. While it was a challenge to find every exact piece and to make sure these pieces worked together, I finally built my own kombucha brewing kit. For my first brew, I bought a large bag of organic sugar and an even larger bag of black tea. While the costs of these supplies depends on a variety of factors, such as type and amount, buying larger quantities brought down costs in the long run. Today, I spend about $6 in my kombucha materials for a brew, which leads to 4 litres of kombucha. The results were clear: by brewing my own kombucha, I was spending less than an eighth of what I had been spending while buying kombucha at the store. However, it is important to note these costs in savings led to an increase in work. Yet, after learning the fermentation process and completing a few brews, everything became quick and easy. Today, I always have a batch of kombucha fermenting, ready to go when my stocks run low. Some of my friends followed my lead, but decided to buy brew kits instead. While this route is more pricey, they liked the convenience and time saved by buying from reputable websites like Brew Your Bucha. I wish I had known about your company before I had gone to collect my own items myself. Having seen my friends kits from your company and the service you have provided, I would certainly have benefited from buying a kit as well. I wanted to share my story with you and your readers so that others can learn from my kombucha experience and start their path to healthier living and brewing their own kombucha!